Gaynor’s rich, challenging academic program is tailored to each child’s unique learning needs. Our average class size is 11 students with two full-time teachers. We offer a high level of support and intervention for our students to help develop the skills they need. Our overarching curricula is informed by the New York State standards and other independent schools. While we have adopted specific programs in various areas of curricula, our goal is to see beyond the programs to ensure the individual child is the central focus. 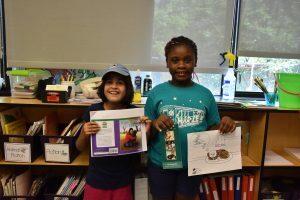 The Gaynor Writing Program was developed in conjunction with Dr. Judith Hochman, former school superintendent and principal, and renowned author of Teaching Basic Writing Skills. Our reading curriculum is based on the Orton–Gillingham approach and is individualized to meet each student’s needs; all teachers are trained in the Orton-Gillingham multi-sensory methods of instruction. Gaynor’s Orton-Gillingham Instructional Program has been officially accredited by the Academy of Orton-Gillingham Practitioners and Educators. As such, we are an Organizational Member of the Academy and a member of the Academy’s Council of Accredited Programs, one of only two schools in the New York metropolitan area to be so certified. As such, our program meets the International Dyslexia Association’s Knowledge and Practice Standard. 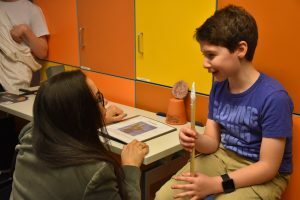 Our social studies curriculum begins in our Lower School with the study of self, building outward to family, school community, surrounding community, and New York City as a whole. The curriculum progresses through the exploration of global cultures and ancient civilizations, culminating in the study of American History. The science curriculum is centered around hands-on activities. 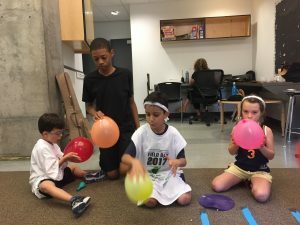 Younger students learn about the scientific method and participate in age-appropriate projects; older students focus on the study of biology, chemistry, earth science, astronomy, and physics. Technology is woven into every aspect of education at Gaynor, with two Technology instructors specifically devoted to integrating technology into each classroom. Whether it’s improving basic keyboarding, developing research skills, exploring Google Apps, or learning 3D design techniques, we realize the importance of embracing the latest technology. Our new SMART (Science, Math, Art, Research, and Technology) Lab encourages the multidisciplinary study of a variety of subjects.